Iron and Magic is book 1 in The Iron Covenant. This author duo are on my must buy list so I grabbed the audiobook as soon as I could. I'm glad I went that route, Steve West, the narrator did such a great job. I would strongly suggest you be up to date on the Kate Daniels series before you dive into this one since Hugh is from that series. 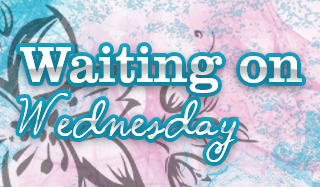 Hugh d’Ambray is left reeling and trying to find himself after Roland cut ties with him. Hugh and his crew, the Iron Dogs need to find a new base and form some allies. They wind up heading to meet Elara Harper, she's trying her best to protect her people but needs soldiers so it sounds like the perfect plan. We aren't too sure what Elara's power are but know pretty much instantly that she can give as good as she gets when it comes to Hugh. They're constantly butting heads but when they can find a way to work together they will be a force to be reckoned with that's for sure. They better figure it out fast too, someone is out to get their territory and isn't afraid to battle. 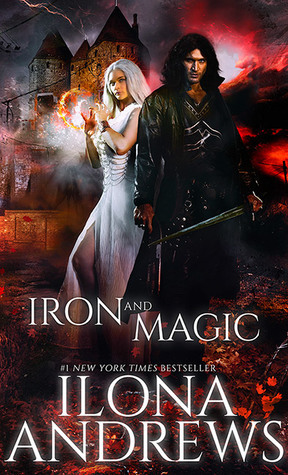 Iron and Magic is more than I could have imagined and I can't wait to see what happens in the next installment. We get to see what it's like outside Atlanta while still dealing with the tech and magic waves. We also see some of the characters from the Kate Daniel's series and I wasn't sure how they'd react to Hugh, he's done some terrible things. Heck even I was worried that IAndrews wouldn't be able to make me like him as a character. I'm glad he gets this series though since being inside his head makes you understand some of his decisions. All in all, if you've read the Kate Daniels series and enjoyed it you'd love this spin off!